Joe Giba’ s motorsports career spanned more than 33 years, including racing both motorcycles and midgets. 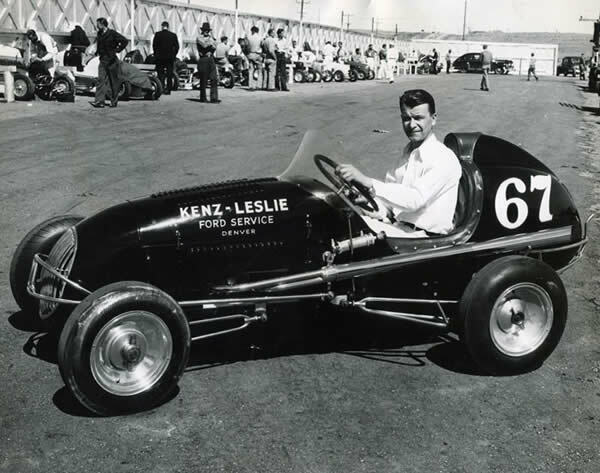 During his career, he won two Colorado Midget Racing Association features in Pueblo in 1947. He also won 10 Rocky Mountain Midget Racing Association features in 1948. Overall, he had 22 feature wins, with his last feature win taking place at Lakeside Speedway in 1963. Additionally, Giba became the first non-champion to be afforded an RMMRA lifetime membership. Giba also established a one-lap midget record on the paved Milwaukee Mile, with an average of 101.070 MPH, and reportedly set a four-lap mark in a midget at Lakeside that was never broken. Giba passed away of lung cancer in 1986 at the age of 77. Mitch Miller first became involved in motorsports in 1965 in public relations and advertising roles with the Rocky Mountain Midget Racing Association. In 1966, he began announcing for the RMMRA and was then elected president of the RMMRA in 1970. He served in that position for seven years, and also served as the organization’s vice president and business manager. During that time he also served as an announcer for all RMMRA races and several USAC shows. In 1978, Miller began the Belleville Midget Nationals, which soon became the largest midget race in the country. 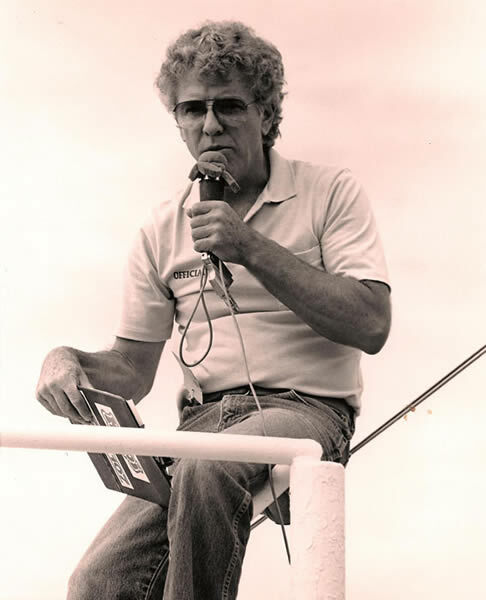 Miller also directed the South West Independent Midget Series from 1981-1985 and the American Independent Midget Series from 1983-1995. In 1987, Miller helped start the Chili Bowl midget race. Known as Raymer & Company, the father and son duo of Vern and Brian Raymer will go down in history as one of the most successful drag racing operations in Colorado. With Vern serving as owner, head mechanic and crew chief, and Brian as the driver, Raymer & Company garnered two World Championships in Alcohol Dragsters (1981 – NHRA, 1978 – AHRA), along with an unprecedented six consecutive NHRA Division Championships in the years 1980 through 1985. Brian, a native Coloradoan, attended many races during his childhood with his dad. 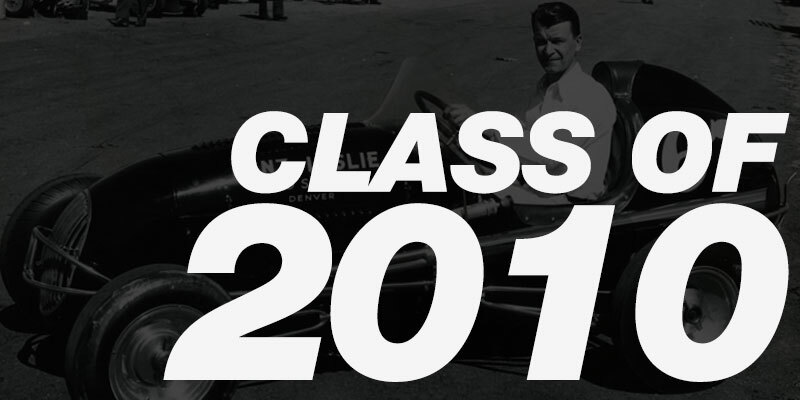 Upon receiving his competition driver’s license in 1969 at the age of 17, Brian was eager to assume the driving duties of the Raymer’s supercharged gas dragster. During his career, Brian garnered many driving awards and established himself as a tough driver to beat in the top alcohol dragster ranks. The team scored national event wins in NHRA competition in 1980, ’81, ’84, ’85 and ’87. They also won a national event in AHRA competition in 1979. 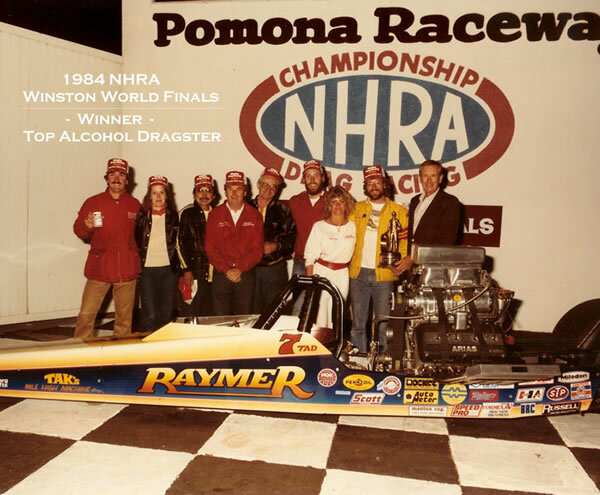 In 2004, the Raymer & Company drag racing team was inducted into the NHRA’s Division 5 Hall of Fame. Vern passed away in the summer of 2012. Ralph Young was a champion car owner and mechanic for many years. In 1967, with Sam Sauer as driver, his car set a Colorado Auto Racing Club track record at Lakeside Speedway that stood for nine years. They also finished second in CARC season point standings in 1967. Then, in 1968 and 1969, Young was the owner and chief mechanic for the Englewood Racing Association car that Sauer drove to two consecutive ERA Modified Season Championships at Englewood Speedway. The following year, he served as chief mechanic for the #5 car driven by Wayne Stallsworth, which won the ERA Modified Season Championship at Englewood Speedway, his third consecutive season championship. 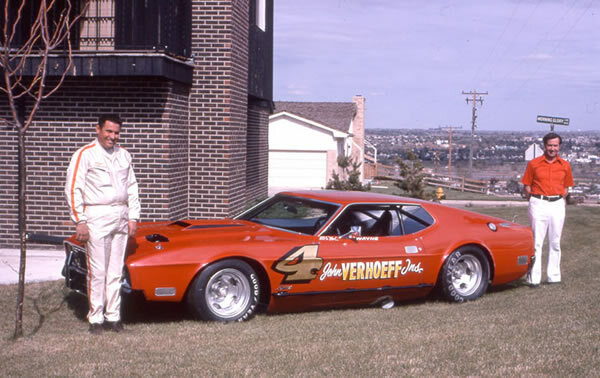 Young continued his winning streak in 1970 as the crew chief for the winning car at the National Short Track Championships in Rockford, IL. In 1971, he was the owner/mechanic for Stallsworth’s second place season points finish at Century 21. Young switched back to open wheel in 1972 by becoming a member of Harry Conklin’s midget team driven by Sam Sauer. That season, they won the Western USAC Midget Championships. He also won the 1974 late model championship at Englewood with Stallsworth. And, in 1977, 1978, 1979, he served as chief mechanic for Ronnie McDowell’s three consecutive season championships at Beacon Hill Speedway. Ralph Young passed away in June of 2018.